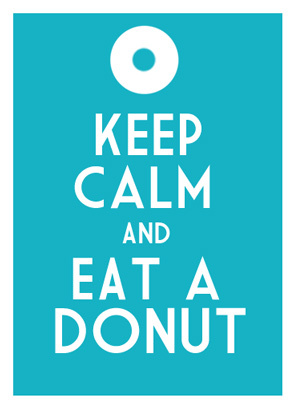 Who doesn’t like a good donut? Truth be told- I used to not be a big fan of donuts. My family would always stop when the red “hot” sign was on at Krispy Kreme, but I never really cared for too many donuts. Now that I work next to one of the best donut places ever, I have found a new love for the round doughy goodness. They may not be healthy, but I love how easy they are to eat in the morning- on the go. This is essential for making sure I have breakfast and stay away from my lunch before the lunch hour. 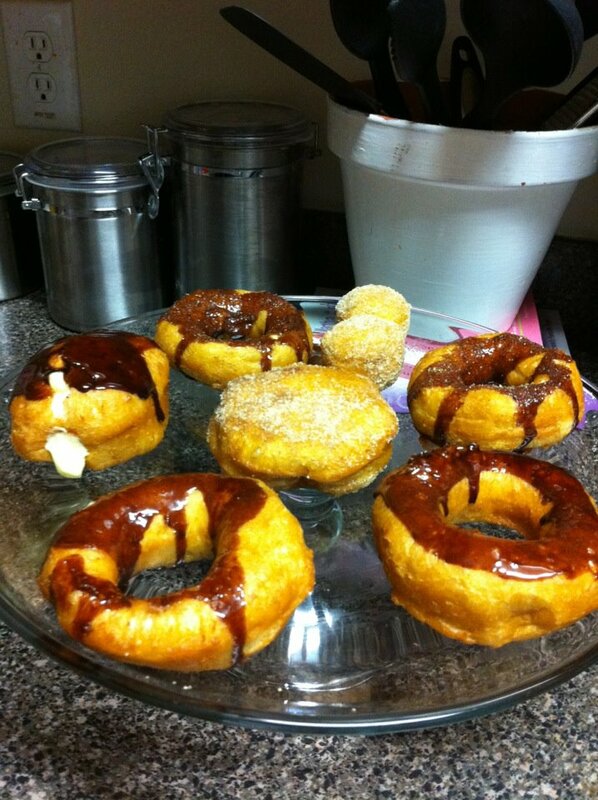 Last night we decided to make our own semi-homemade donuts. I was inspired by this post on Pinterest. After sending an email to the hubby suggesting the idea, prepared to be shot down, I received a reply in all caps that the plan was a go. To the grocery store! Overall the donuts were simple to make. We just cut a hole in the middle of a store-bought biscuit, and then fried it in the deep fryer. Once they were out of the fryer, I dipped some in chocolate and others in a butter/cinnamon sugar mix. Conner had a brilliant idea to leave some of the donuts whole so that we could pipe vanilla custard into the center. Here is a peek at the finished donuts! This entry was posted in Married Life and tagged breakfast, dessert, donuts, food, homemade. Bookmark the permalink.